Attendee Registration for the 2019 Pre-Health Conference is now open! For more information, see below. Registration for the 2019 UC Davis Pre-Health Conference is now open! All attendees MUST have their ticket and signed waiver form in order to participate in the conference. We also ask that you bring a valid photo ID (e.g., driver's license, student ID, etc.). Space is limited to 4500 attendees, and there will be no at-the-door-registration. Once spots fill up, registration will close, so be sure to register early. Tickets are NON-REFUNDABLE, but may be transferred only within the same ticket type. If you want to transfer a ticket between the same ticket type, you MUST update the information yourself in Eventbrite and the new attendee must have the ticket with ID on the day of Conference. Group tickets are available. Choose "Group Registration" at checkout. Attendees must be 18 years or older unless enrolled at UC Davis. 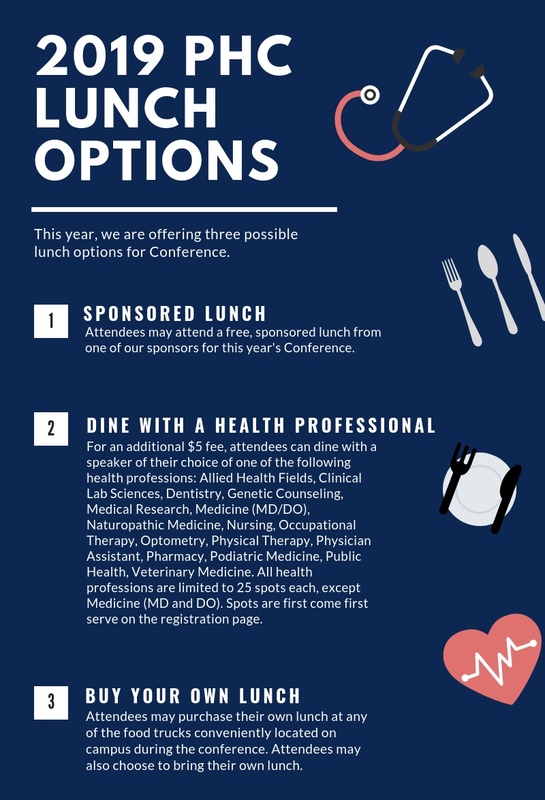 The 2019 UC Davis Pre-Health Conference is your opportunity to meet and learn from health professionals, deans of admission, admissions officers, financial aid officers, and faculty/staff from a multitude of health professional programs. Through workshops, panels of speakers, interactive activities, and the pre-health fair, you will hear from a range of professionals and learn exactly what you need to know as a pre-health student or applicant. Do not miss out on this chance to take the first steps towards your future health career. Our Pre-Health Exhibitors & Admissions Fair is one of the largest pre-health fairs in the nation and will host representatives from hundreds of health professional schools across the country. It will take place from 10 a.m. to 3 p.m. on Hutchison Field. This is your chance to learn more about schools you are interested in, meet deans of admission, and make lasting connections! More questions? Check out our Frequently Asked Questions.